My friend Catherine and I spent Friday evening wandering through the shops of downtown Ottawa, and of course one of our stops was local favourite, Magpie Jewellery. Catherine told me about an "Ottawa Necklace", made by local jeweller Lissa Bowie, which has a pendant in the shape of the city's outline. But it also looks a little bit like a heart, am I right? 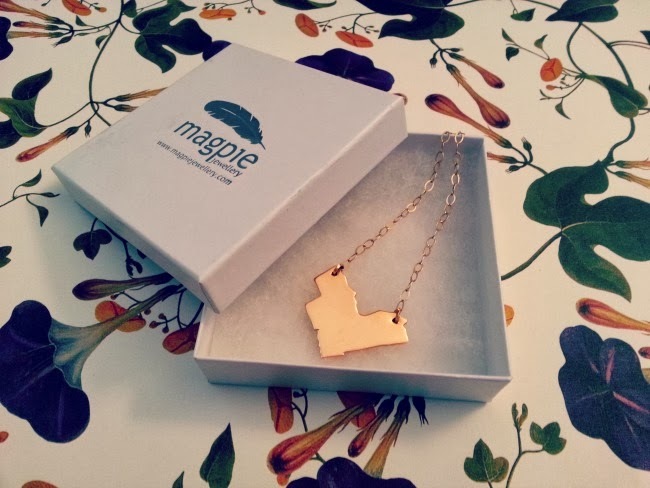 In any case, my love for the city that has become my second home, in combination with the fantastic sale going on at Magpie convinced me to snap one up on the spot. This concept is so cute! Aah, I almost bought this online the other day! Catie - you so should! It's adorable!